Rajasthan government issued a notification making camel as the State animal, a step aimed at checking the decreasing number of the 'ship of the desert'. With this, Rajasthan will now have two animals Camel and Chinkara enjoying the status of the state animal. "A notification in this regard has been issued," a state government release said. 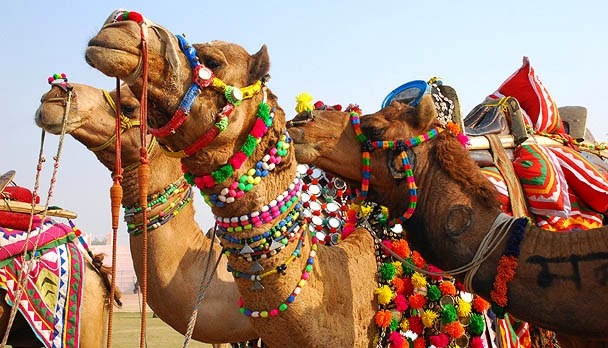 It was decided in July 2014 to declare Camel as Rajasthan's state animal and in July, the state government had cleared the proposal at a Cabinet meeting held in Bikaner. Now it is Official after Notification issued on 19th September 2014. Camel is mainly found in Thar desert area of the state and provides livelihood to a large number of people in rural areas. The animal is slaughtered for meat and is also as part of sacrifice in some areas.